Shirts With Random Triangles: Illinois adds JUCO tight end Andrew Davis to 2015 recruiting class. Illinois adds JUCO tight end Andrew Davis to 2015 recruiting class. Andrew Davis. Via Iowa Western. Illinois has added the third member of its 2015 recruiting class. Iowa junior college tight end Andrew Davis committed to the Fighting Illini on Sunday. 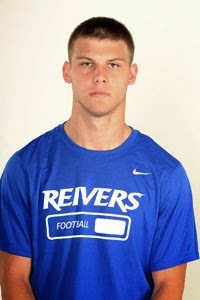 Davis is from Marion, Iowa, and attends Iowa Western Community College. Rivals.com grades him as a three-star TE. He is 6'6" and weighs 225 lbs.